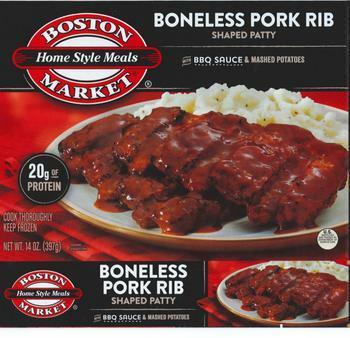 Bellisio Foods of Jackson, Ohio, is recalling approximately 173,376 pounds of frozen pork entrées. The products may be contaminated with extraneous materials -- specifically pieces of glass. There are no confirmed reports of adverse reactions or injuries due to consumption of the products. The recalled products, bearing establishment number “EST. 18297” on the end carton flap of the package, were shipped to a Department of Defense facility in Tucson, Ariz., and retail locations nationwide. Customers who purchased the recalled products should not to consume them, but discard them or return them to the place of purchase. Consumers with questions about the recall may contact Krista Cummings at (855) 871-9977.